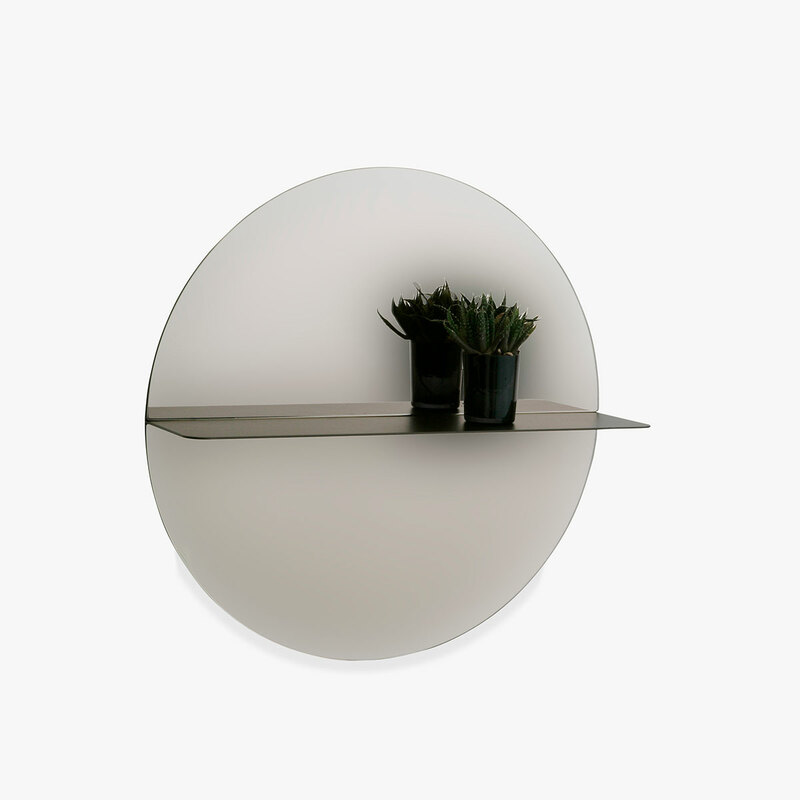 Otto is a mirror available in different glass finishes with a frame and shelf in lacquered metal. Both a useful item as well a display for your favourite belongings. The small mirror is available in two finishes, deep blue and bronze. Available in Smoke Tinted Mirror Glass With Frame and Shelf in Anthracite, Bronze Tinted Glass With Frame and Shelf in Bronze or Clear Mirror Glass With Frame and Shelf in Nougat, Green Khaki, Nordic Blue or Deep Blue.